HISTORY – Valley Iron, Inc.
Valley Iron was born in 1958, when David Newman and Martin Richtel opened their steel yard on Cherry Avenue in Fresno. 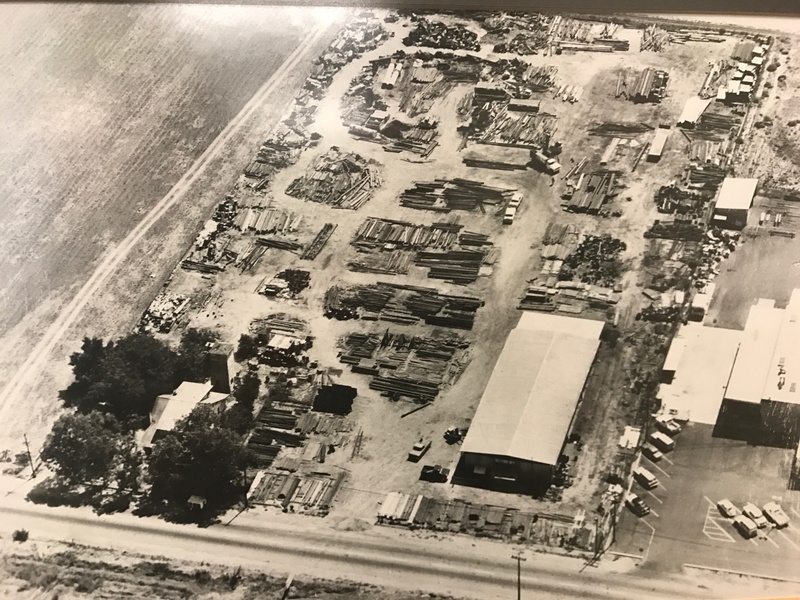 Newman and Richtel worked well as partners, building their fledgling shop into an established business that sold steel products to local farmers, construction companies, and other area businesses. After 25 years, the founders decided it was time to enjoy retirement. 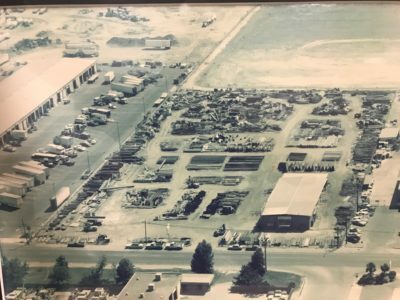 They sold Valley Iron to supplier and longtime Bakersfield iron man, Jim Briscoe, and his wife, Lee Anne in September 1983. The Briscoe’s plan was to transform the company into a full steel distribution center with a wider geographical reach, and an emphasis on new steel. 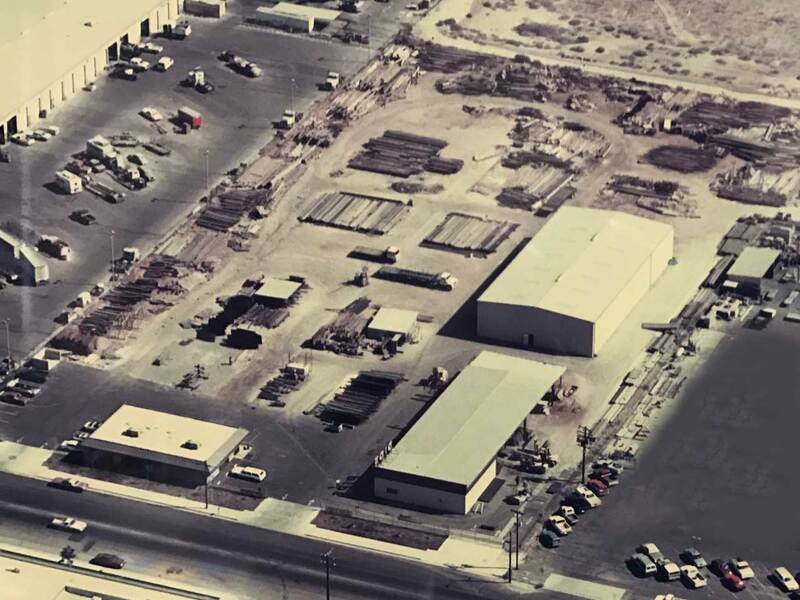 Within their first decade, the couple invested in a metal warehouse, complete with overhead cranes plus a new office building. Just four successful years later, a second warehouse was added for storage to protect the material from the Valley fog and rain. A third soon followed to house their new venture into stainless steel and aluminum. 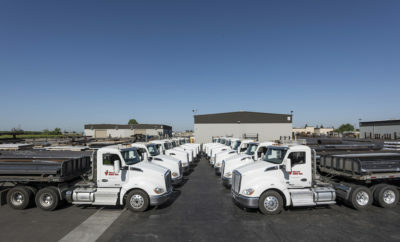 To keep up with demand, the Briscoe’s realized they needed additional space. In 2005 Valley Iron seamlessly transitioned from its original 5.5 acre property with 40,000 square feet of warehouse space to an entirely new facility just a half-mile down the street. 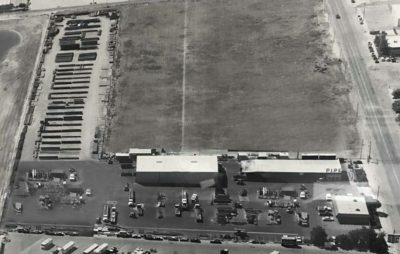 Maintaining full capacity service at the original location, there was no interruption of service when building the new location. 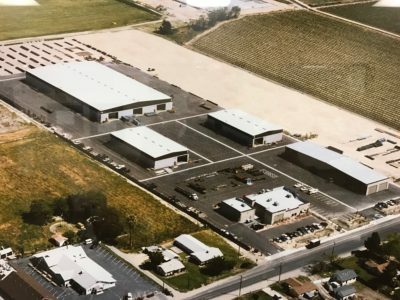 Closing the old shop on Friday and opening on Monday in the 20-acre facility with 110,000 square feet under roof was a feat of logistics. 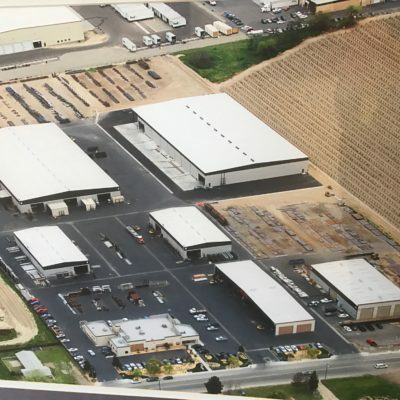 In 2007, the company added office space, and constructed another building for its venture into plate processing. 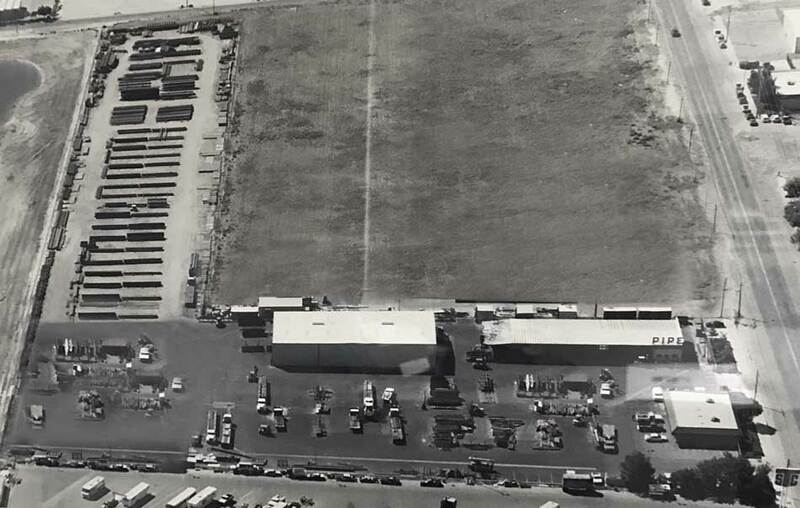 In 2010, Valley Iron added a second location in Vacaville, with 7 acres and 95,000 square feet of warehouse space. 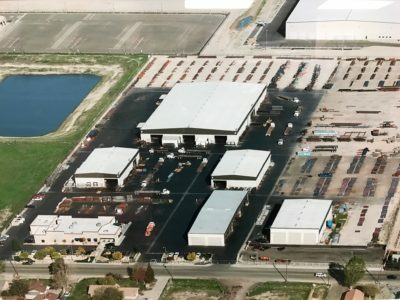 With expansions totaling 24 acres and 200,000 square feet under roof in Fresno and the new Vacaville location, the company is well positioned to service all of Central and Northern California. 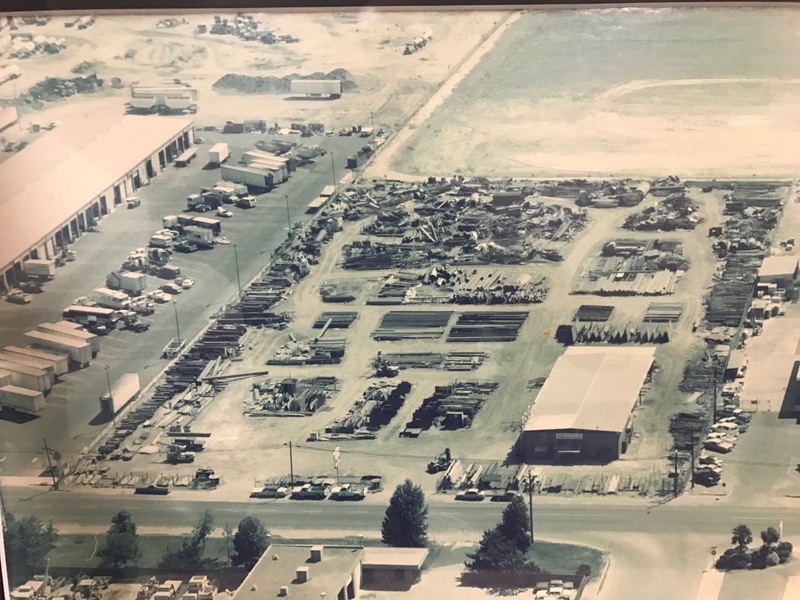 All of us at Valley Iron look back with pride on our 60 years of customer service — and look forward to what our next 60 years will bring. 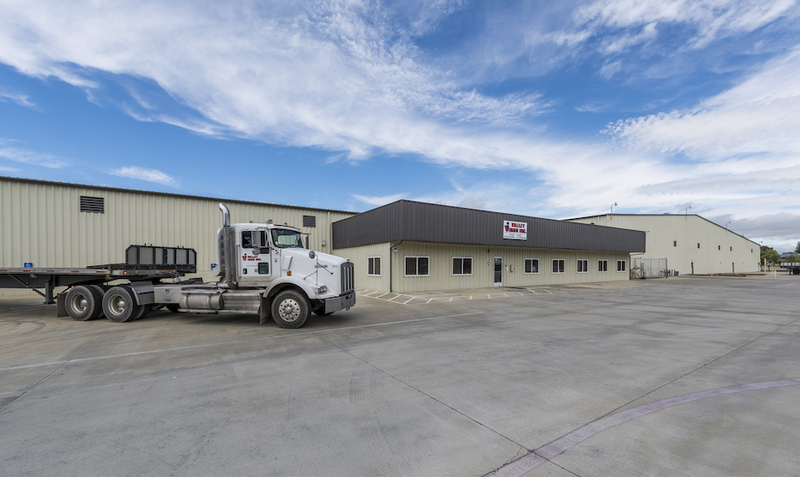 Valley Iron constructs 60,000 square feet of warehouse space for stainless and aluminum, with a new packaging and materials handling system. 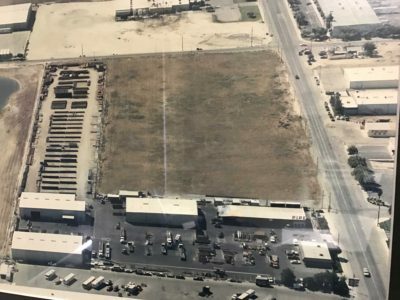 Named runner-up to the Family Business of the Year by the Institute of Family Business at Fresno State University.